Rock Star Ralph – Music teachers like East Hanover Township’s Randy Raab have to please multiple, fickle audiences. Raab engages his audience through a mix of unconventional and orthodox methods. He introduces pre-kindergarten students to the mechanics of the violin before singing and dancing to a song about a cookie. Older students play a game to identify classical composers such as Bach, Beethoven, and Mozart and their famous works. 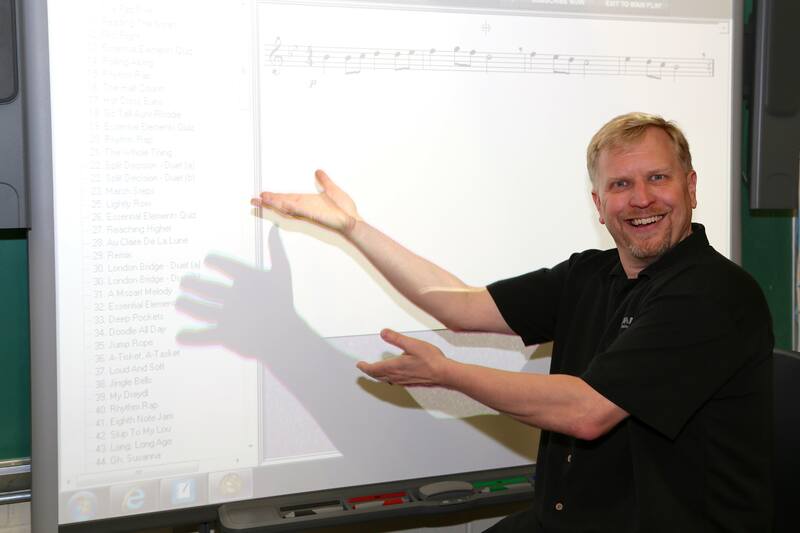 Raab uses technology and old-fashioned showmanship to engage and excite his students about music and more. NJMEA is an organization of general, choral, and instrumental music educators, prekindergarten through college in public, private and parochial schools. The organization sponsors a variety of professional development opportunities and advocacy efforts that focus on emerging trends and issues in music education. Members’ students may audition for region ensembles, as well as All-State Chorus, Orchestra, Band and Jazz Ensemble. Members may also choose to participate in other NJMEA-sponsored performance activities as applicable.